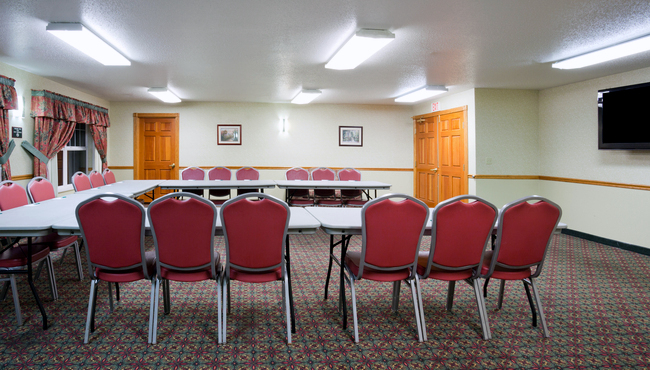 Spanning 700 square feet, the meeting room at the Country Inn & Suites, Cottage Grove can host up to 40 people for conferences, corporate gatherings, parties or bridal showers. Our well-equipped event space features free high-speed Internet access, a portable screen and a DVD player. You can also brainstorm the old-fashioned way with a whiteboard and a flip chart. Conveniently located near local businesses like 3M and Northern Tier Energy, our hotel also offers block accommodations for groups. Ask our friendly, knowledgeable hotel staff for help with arranging catering services, or supply your own food and beverages for a memorable event.